Red Carnation is a flower that symbolizes deep love and admiration. If you still haven’t found enough courage to express your words of love and fascination for a special person, say it today with this stunning bouquet of 12 red carnations. 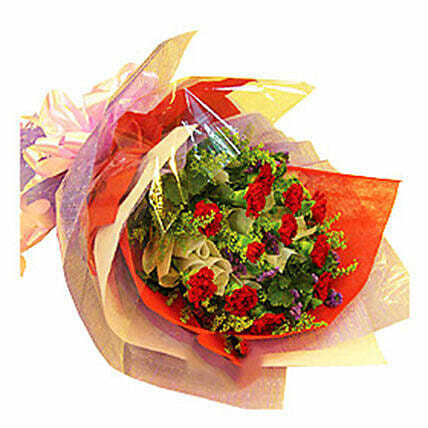 Foliage and fillers are also added in this bouquet to uplift the great look.